Attorney General Jeff Sessions has set a deadline for some jurisdictions to prove that they cooperate with federal immigration law. Nine local governments that the Department of Justice has highlighted as possible “sanctuary” jurisdictions have a month to prove that their local policies don’t violate federal law. Attorney General Jeff Sessions has threatened to cancel almost $300 million in federal grants to the jurisdictions on the Justice Department’s list, if they are in fact operating as sanctuaries from federal immigration enforcement. The fuzzy definition of the term “sanctuary” has been equally frustrating to people for and against protections for undocumented people. That’s become a problem as some states, and President Donald Trump, have tried to outlaw sanctuary cities. That’s the law that says local governments can’t stop police from sharing an individual’s status with immigration officials. Some local law enforcement agencies have approved policies against holding a person in the local jail at the request of immigration officers via a detainer request. The memo seemed to acknowledge that such requests are only voluntary – though Sessions’ budget proposal, also issued last week, would change that. 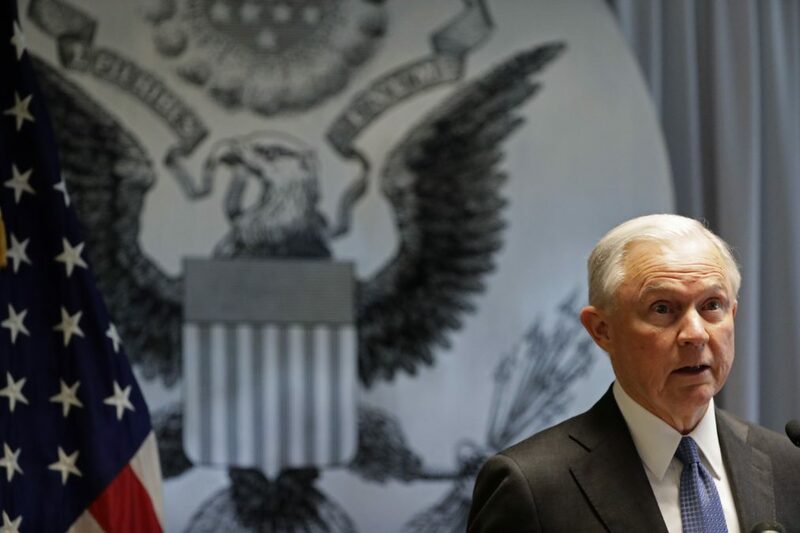 In April, the Justice Department sent letters to nine jurisdictions it suspected were violating section 1373, asking them to prove that their policies weren’t against the law, or risk losing their federal grants. The department asked for a response from the jurisdictions by June 30. Most of the nine have policies against cooperating with detainer requests, but don’t limit officers’ abilities to “communicate” with immigration enforcement agents. Justice Department spokesman Ian Prior told Reveal from The Center for Investigative Reporting that all nine jurisdictions are expected to prove they’re complying with the law by the end of next month. “The memo does not impact the requirement to certify compliance with 1373 – in fact, it reaffirms it,” Prior wrote. California’s Board of State and Community Corrections will consider its response during a meeting on June 8. “We believe that we’re in compliance,” spokeswoman Tracie Cone said. Las Vegas Metropolitan Police Department spokesman Jay Rivera said his department is already in the clear. Days after the Justice Department issued the letters, he said, Las Vegas Sheriff Joseph Lombardo made his case to Sessions during a meeting with other local leaders. “As a result of that meeting, we were removed from that list,” Rivera said. Cook County bars employees from “responding to ICE inquiries or communicating with ICE regarding individuals’ incarceration status or release dates while on duty.” That policy seems to tread as close as any on the list to section 1373, but spokesman Frank Shuftan said the county believes it’s in line with federal law. Even Miami-Dade County – where Mayor Carlos Gimenez already responded to Trump’s order by rolling back a policy against detainer requests in February – is expected to send a letter proving its compliance. Only one jurisdiction has apparently replied to DOJ’s inquiry so far.